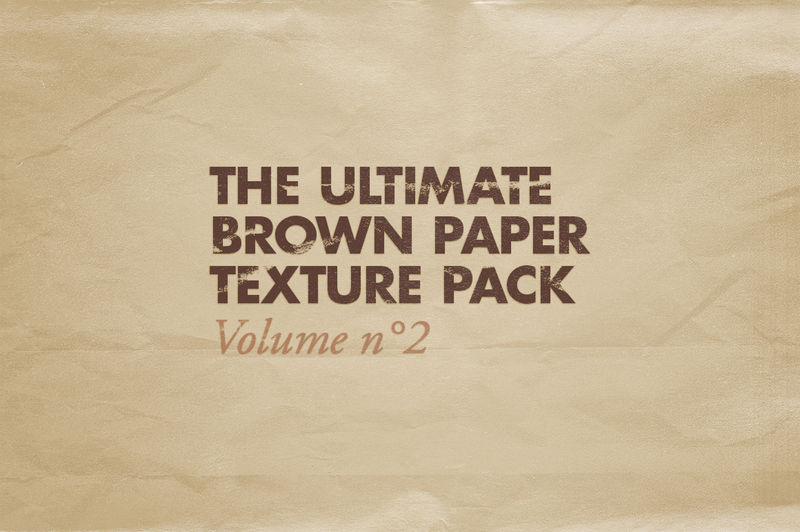 Last month, Simon Birky Hartmann kindly donated volume 1 of his Ultimate Brown Paper Texture Pack for Access All Areas members to download. From today, members can now enjoy a whole new set of 15 super high resolution texture files of brown paper bags with varying degrees of grain, creases and folds to give your designs a craft inspired vibe. At 5,090×7,000 pixels @ 600 dpi these professional quality textures have a high enough resolution for the largest of print designs. Simon Birky Hartmann’s The Shop is the place to go if you’re in need of dirty or grainy resources to grunge up your designs. His store contains a variety of texture packs, including his latest release of Vector Noise Textures. Simon not only creates these fantastic resources, he often shows you what can be done with them too! Follow him on Dribbble to see his awesome grungy artwork and to keep up to date with his latest tutorials. Access All Areas members already have the ability to download volume 1, and now volume 2. The third pack will also be available soon to provide members with a massive collection of quality textures. These textures are super high resolution which makes them perfect for even the largest of print projects. Choose from varying levels of grain, creases and folds to find the best texture to use as a background for your design, or to overlay over your artwork to add grungy tones. See? I knew it would be fixed fast! Thank you very much! I split up a scrap kit into 4 parts once, only to find they were the same 4 parts! LOL Stuff happens! This Pack is the same as number 1. It is even titled the same. I opened it to see if per chance it was just a titling error, but, they are the same textures. Stuff happens! I am ever grateful, still, though, as I know it will be corrected. I think this a link two pack 1 mate.